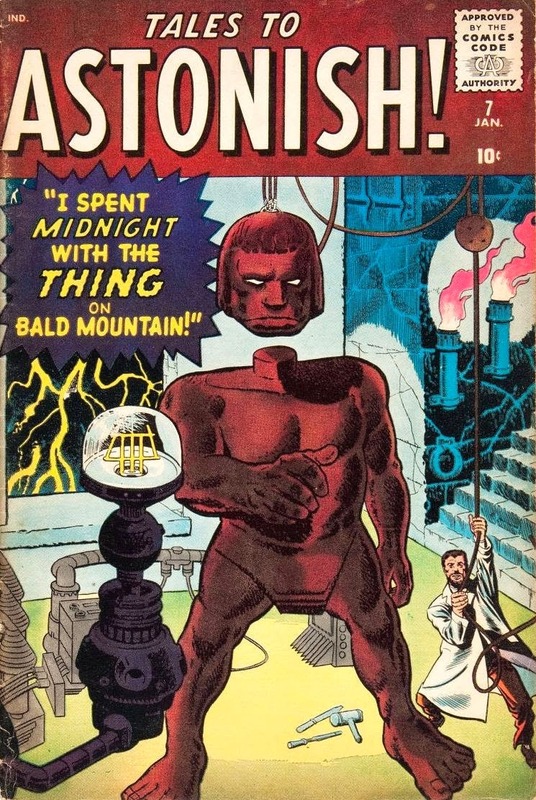 Fun Fact: TALES TO ASTONISH #7 has 5 pages of interior Kirby art. 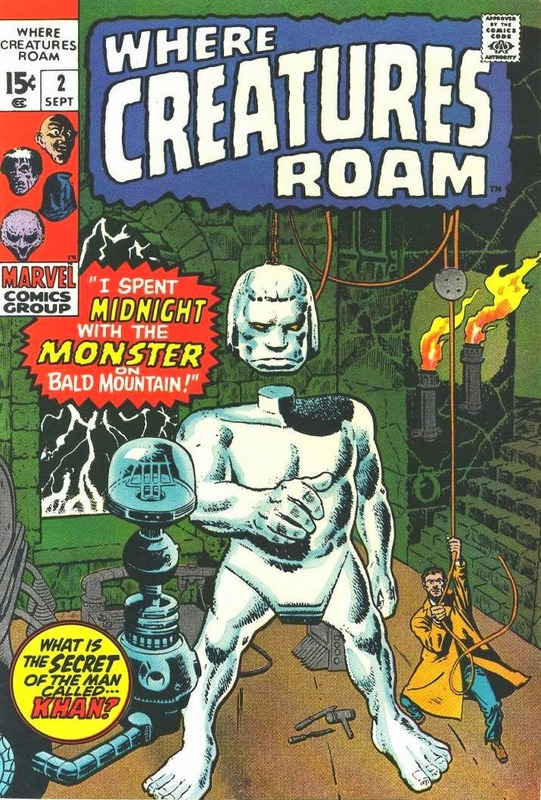 WHERE CREATURES ROAM #2 has 0. It would be over a decade before we heard Acmiral Kirk bellow "K-A-H-N"... so when they tease us with the secret behind the man named KAHN on the cover....the Eugenics Wars could not have started yet... LOL! Multiple variations of the Kirby reaction shot.